Bringing a little joy to your everyday life. greets customers at C2C Gallery. 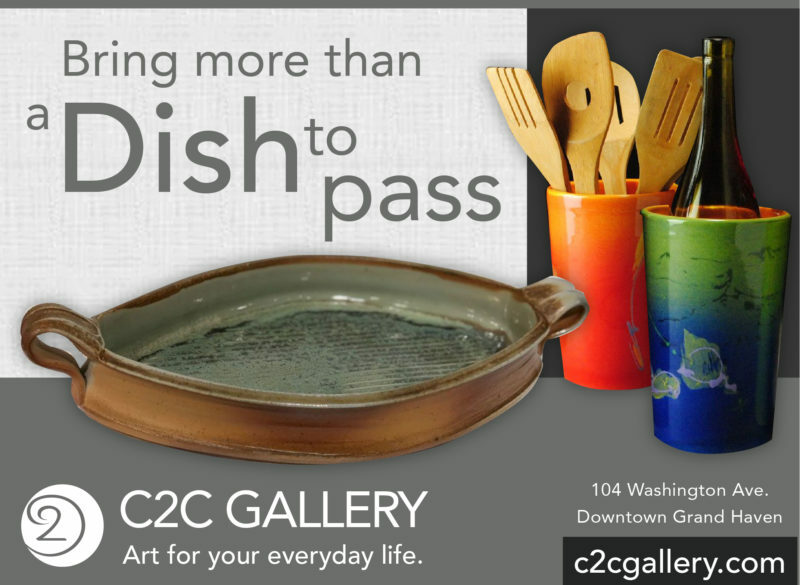 At C2C Gallery, we believe that life is far better when it includes art. 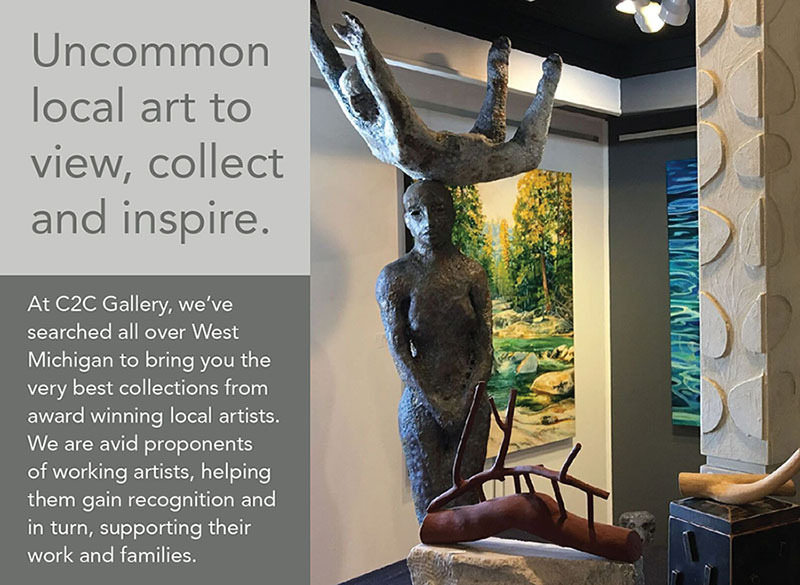 That’s why our mission is to bring the work of great artists into the homes, cottages and offices of our clients. 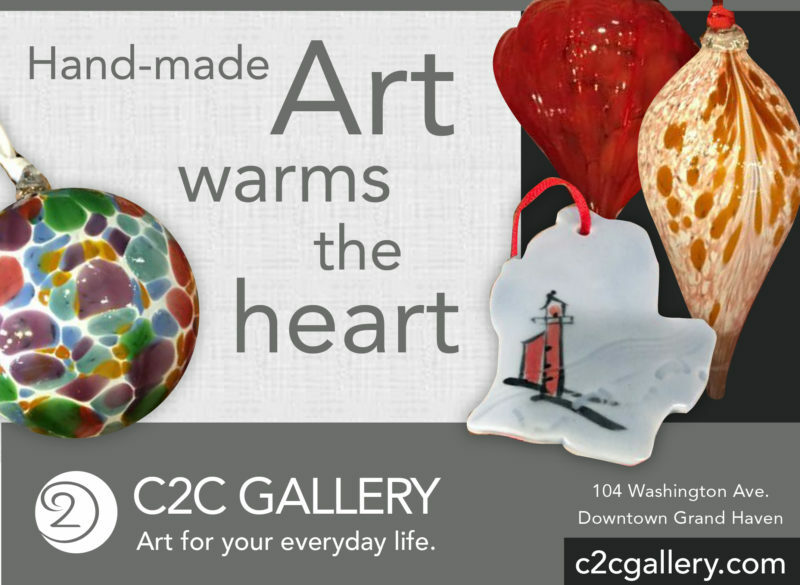 With our large selection of handmade art at affordable prices, we make it easy for you to incorporate a special piece of art into your everyday life. 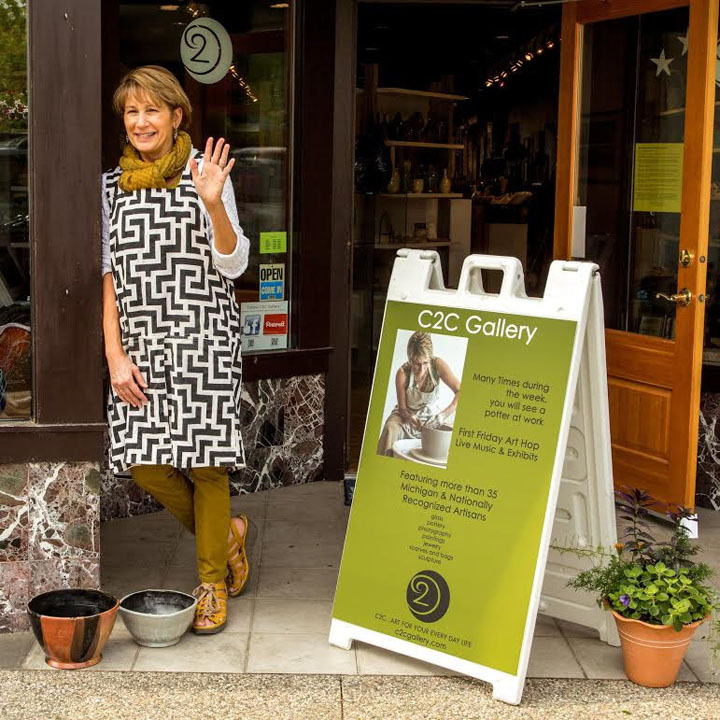 So, enjoy your time on our site as you browse our artists’ collections, gallery events, community outreach and more. 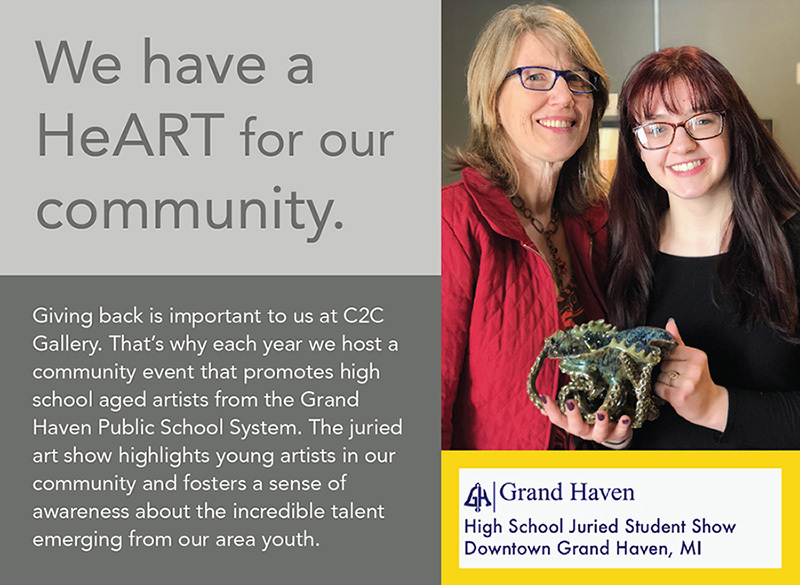 We are grateful to know the joy that a little art can bring to everyday life and we want you to experience that joy too.